This is one of our family’s favorite “One Dish Dinners” and it’s always a hit when we serve it! I love the sweet and savory…and it’s just a meal winner. See why it’s winning. Winning, winning, winning! Hope it’s a winner for your family too! 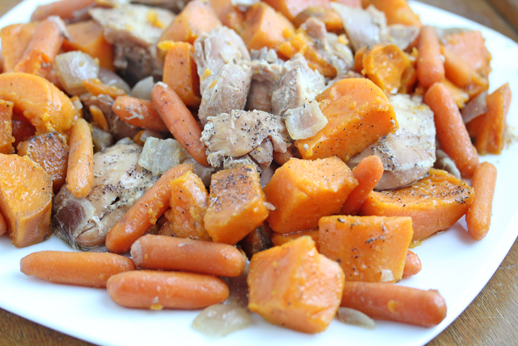 See the complete 5-Ingredient recipe for Slow Cooker Maple Chicken with Sweet Potatoes here!